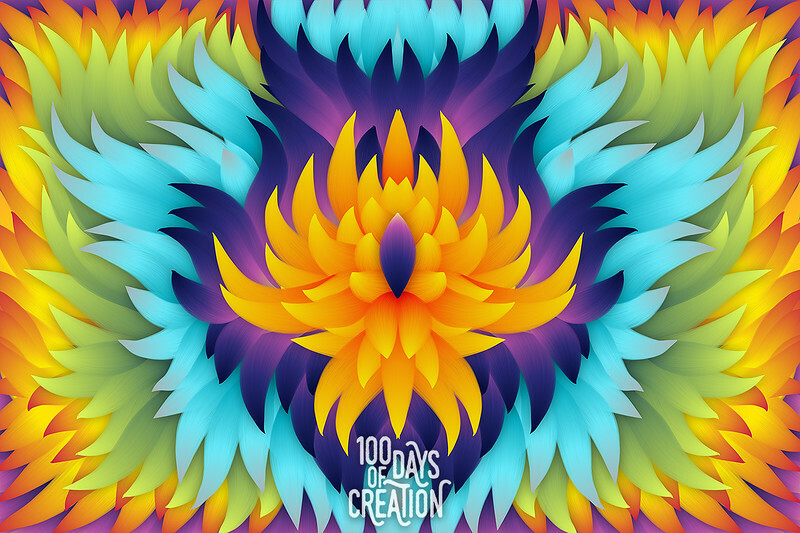 A gallery of my creative energy for the first 100 days of 2016. 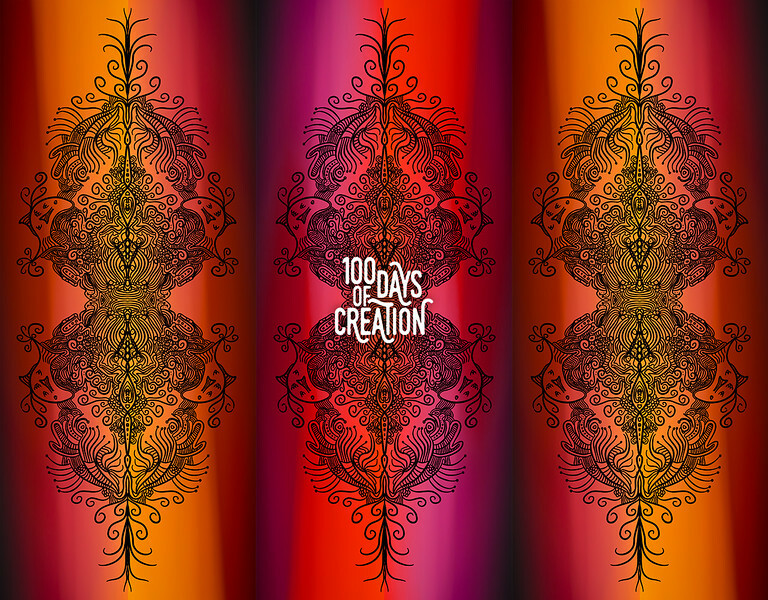 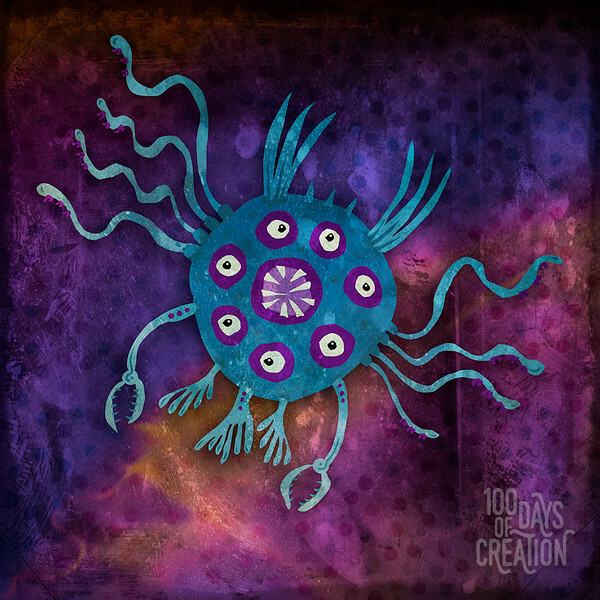 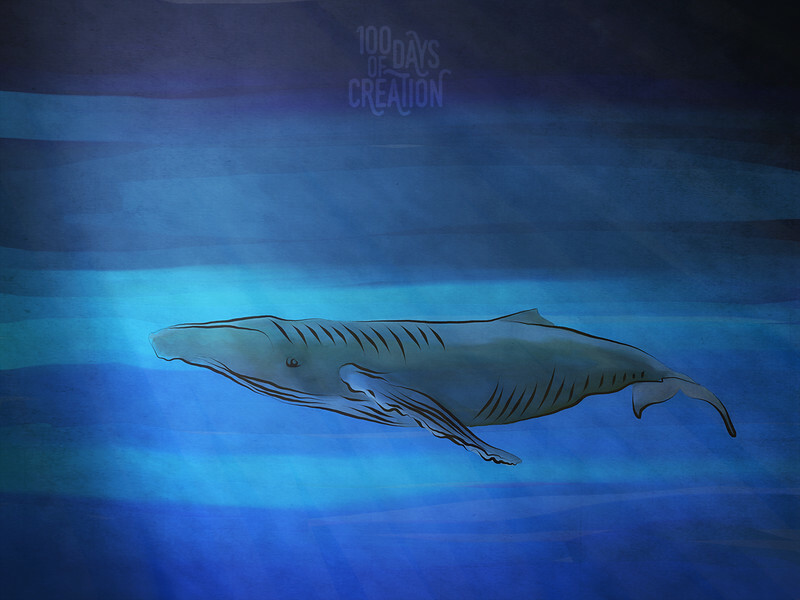 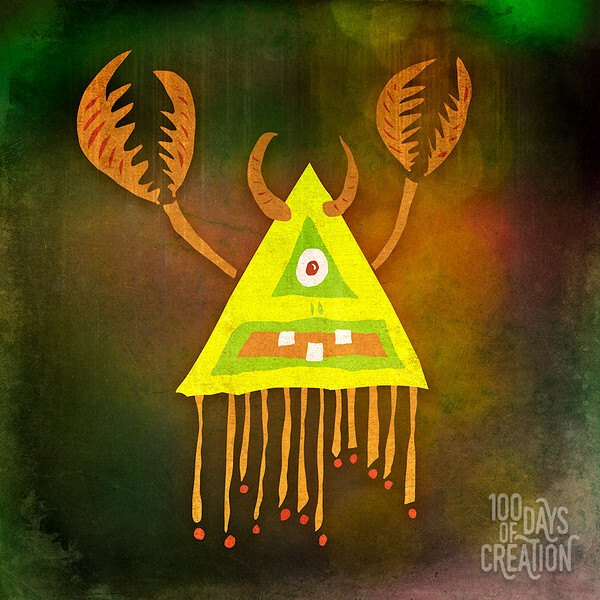 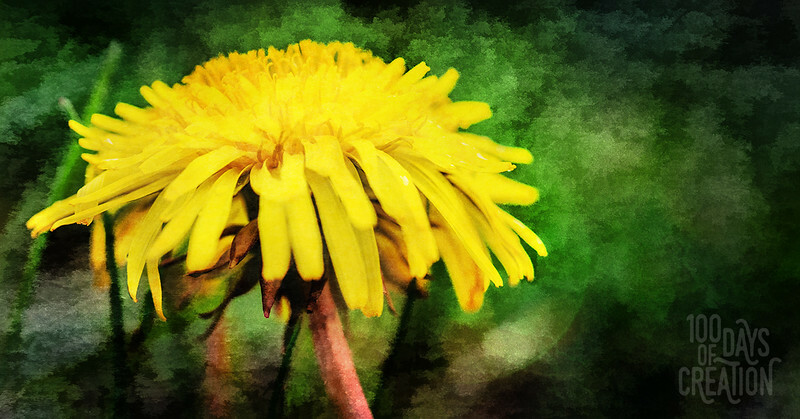 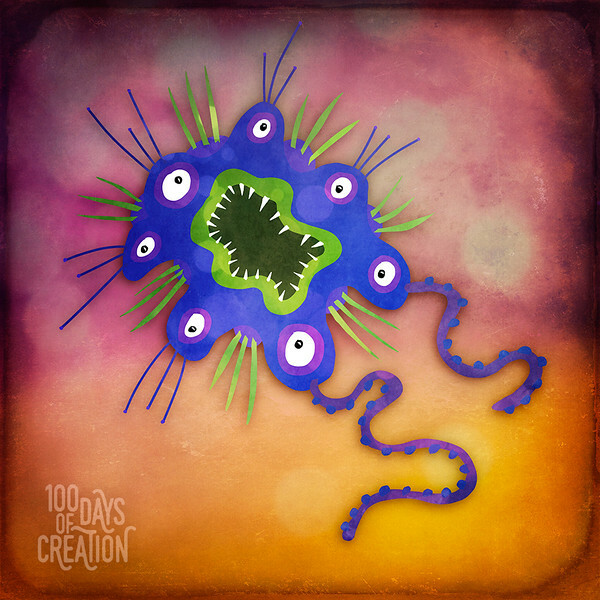 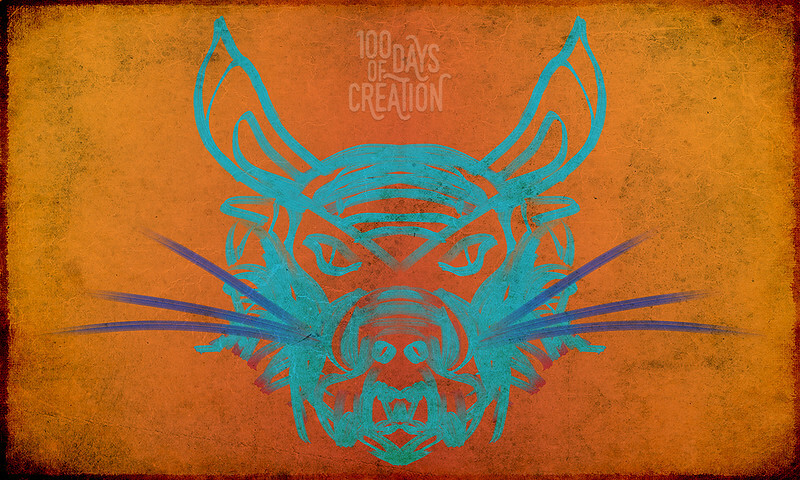 Each day for 100 days, a new image of some form of creativity will be posted in this gallery. 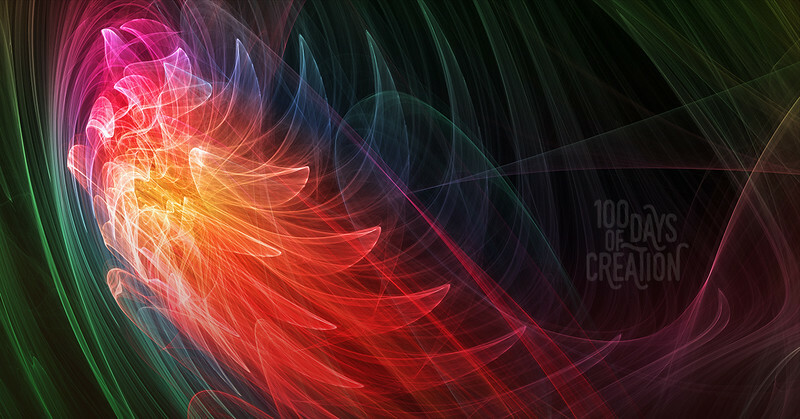 Day 100 - The End ~ In camera light painting, 33"x9"
As it began, it now ends. 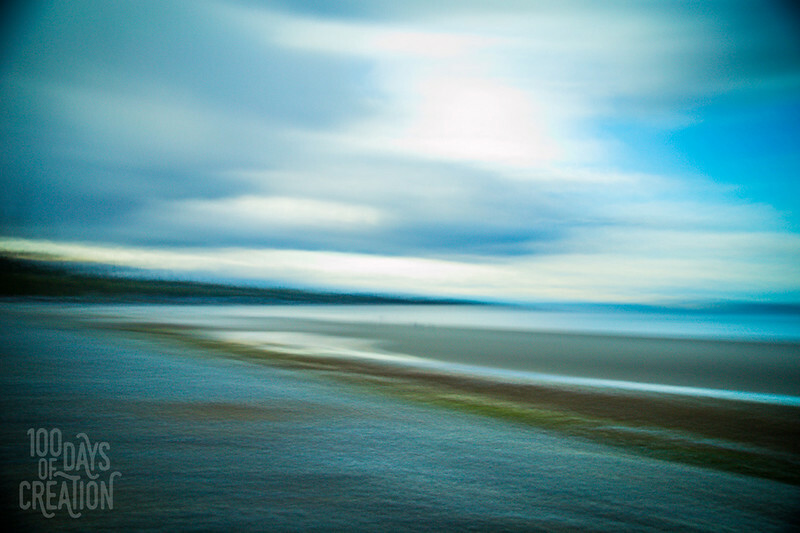 Painted pre dawn at Transfer Beach in Ladysmith, BC, Canada. 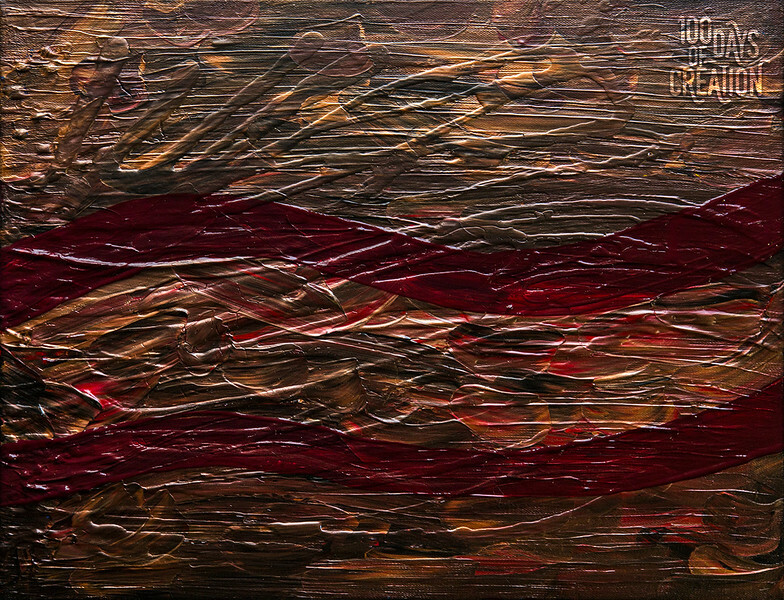 Day 99 - Convergent ~ Acrylic on canvas, 18"x14"
We are approaching the end. 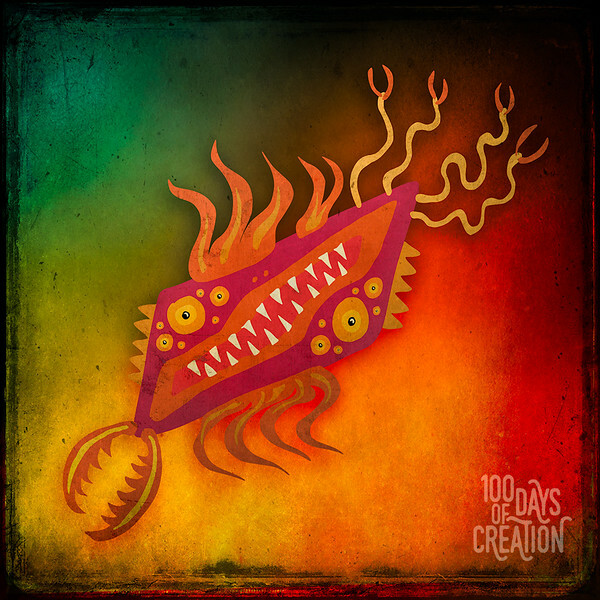 Day 98 - Light Dragon ~ Algorithmic chaos painting, 17"x9"
Day 97 - Redb ~ Digital Painting, 17"x9"
Day 96 - TheLight ~ Multimedia collage, 24"x10"
Day 95 - Humming Along ~ Multimedia painting, 16"x10"
Day 94 - Nishikigoi ~ Multimedia painting, 16"x11"
Day 93 - Orange N' Pears ~ Multimedia painting, 12"x8"
Day 92 - Koolaid ~ Macro photograph series F, 14.5"x8"
These may be familiar, D'Ann calls them Koolaid flowers due to the smell. 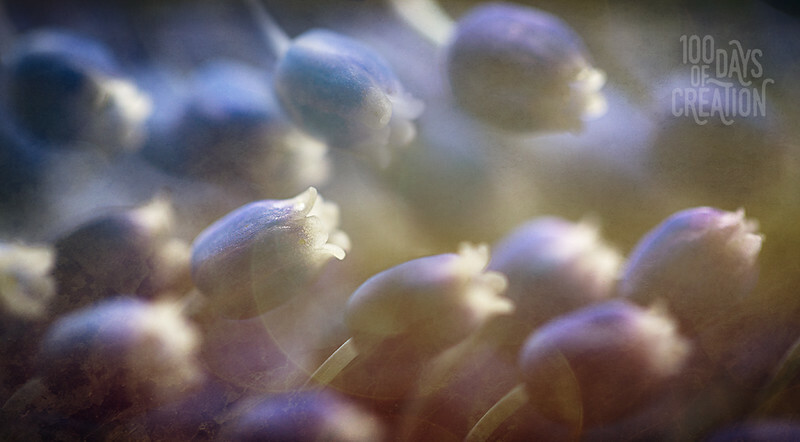 The real name for them is Grape Hyacinth. 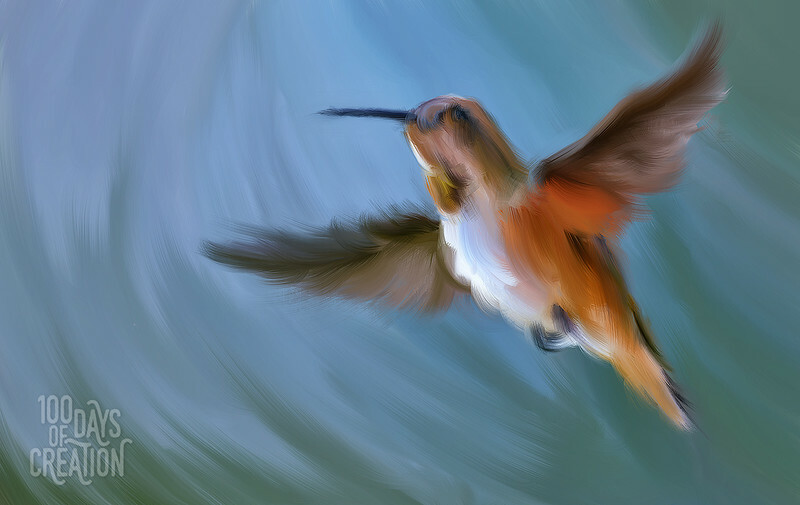 Day 91 - StripeStripeStripe ~ Multimedia painting, 12"x8"
Day 90 - Flight ~ Multimedia painting, 12"x8"
Imagine where you could fly. 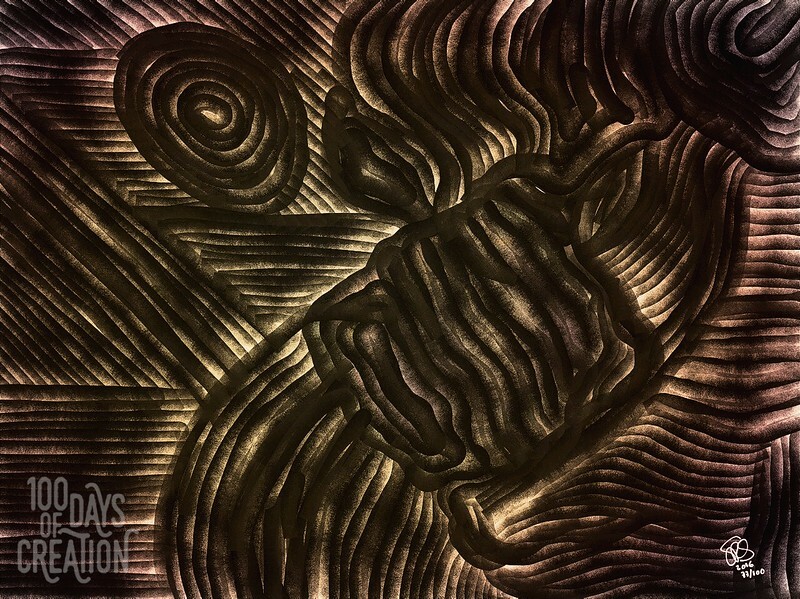 Day 89 - Triple Motive ~ Ink drawing over light painting, 12"x9"
Motif is the word but it sounded better this way somehow. 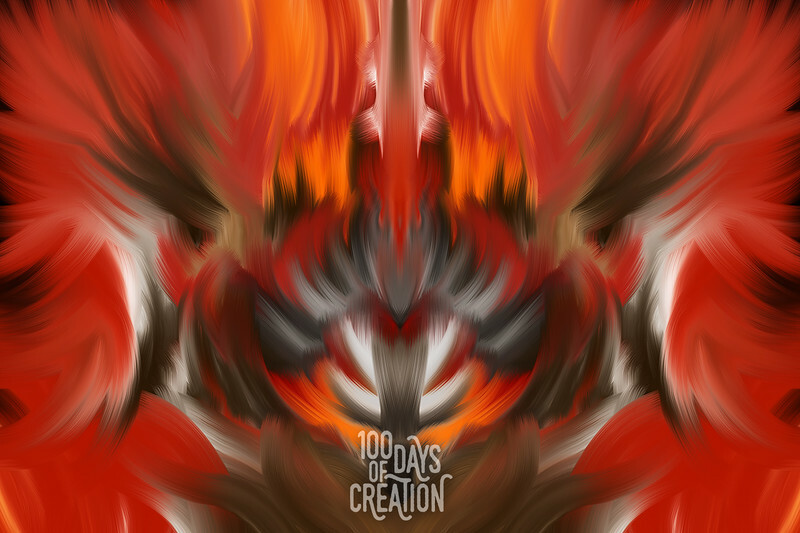 Day 88 - Anjou ~ Multimedia painting, 12"x9"
Day 87 - Flame Flower ~ Digital painting, 15"x10"
I absolutely love mirrored images. 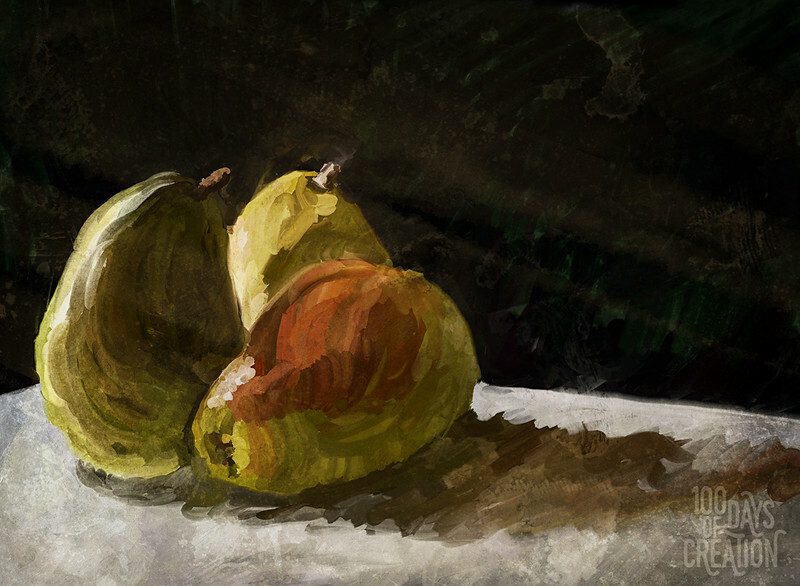 Painted in Paintstorm, finalized in Photoshop. 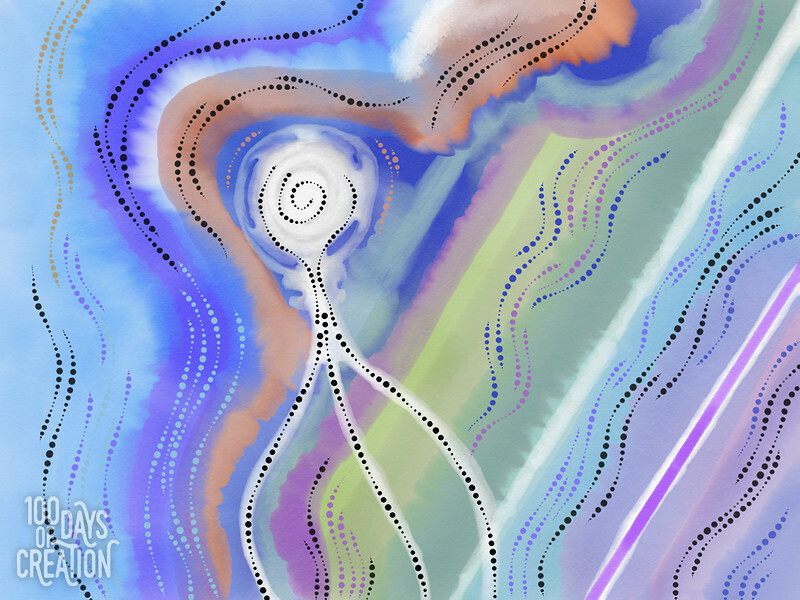 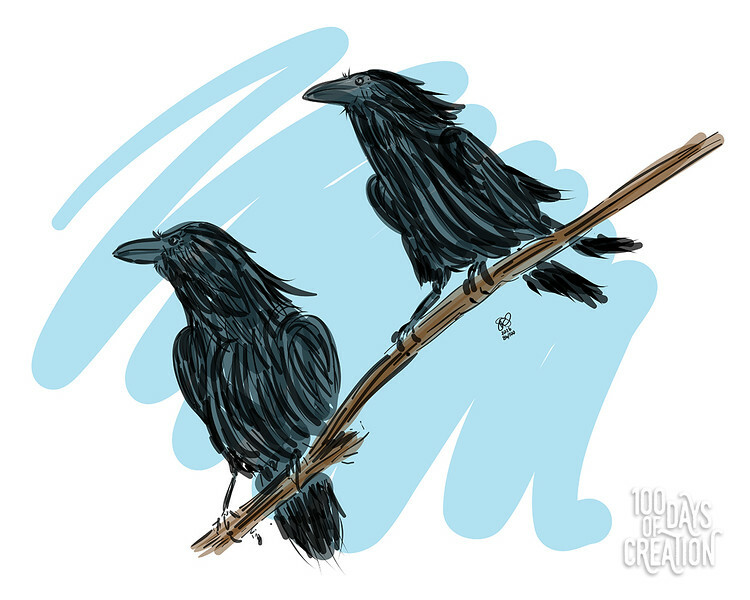 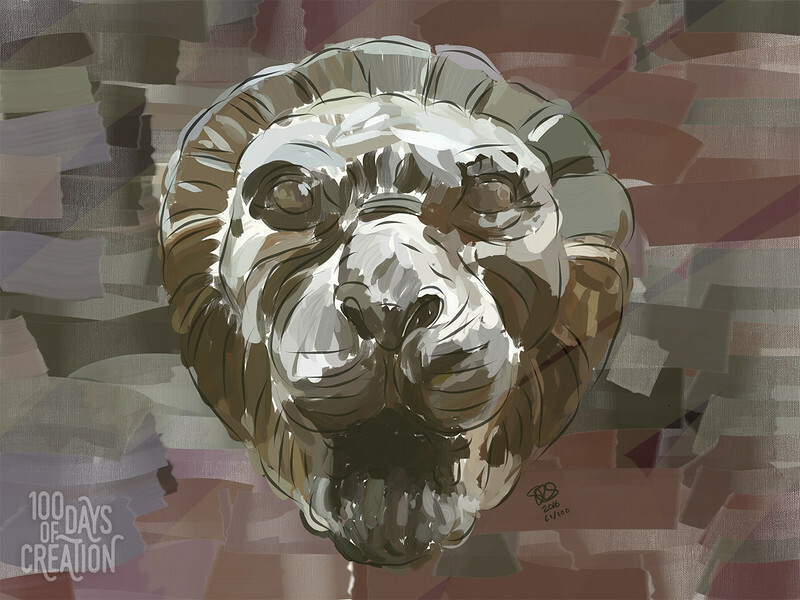 Day 86 - Brothers ~ Multimedia sketch, 15"x12"
A digital sketch using vector drawing tools. 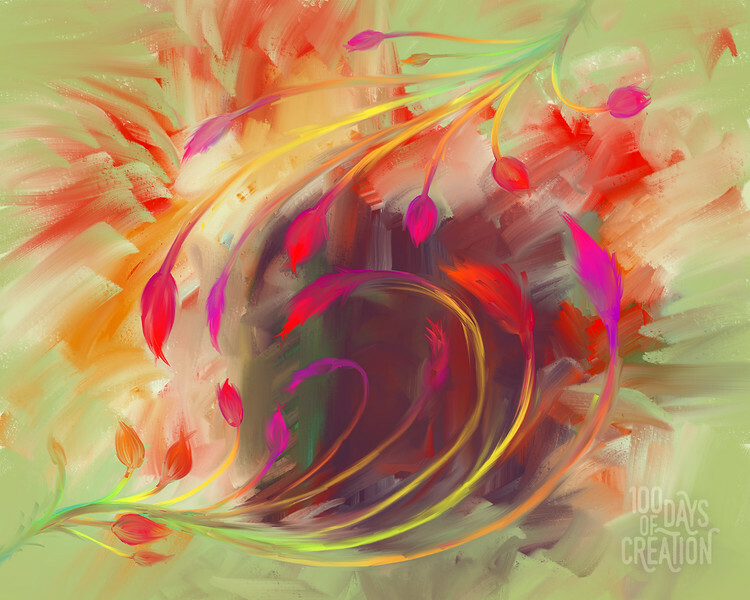 Day 85 - Spring ~ Multimedia painting, 12.5"x10"
A flourish of tulipular spring. 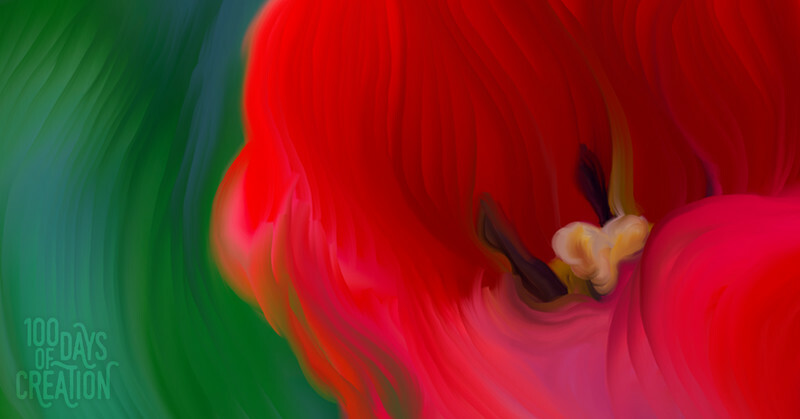 Day 84 - Bunny revenge ~ Multimedia painting, 18" x 11"
Tired of all his eggs being stolen, he is out for revenge this year. 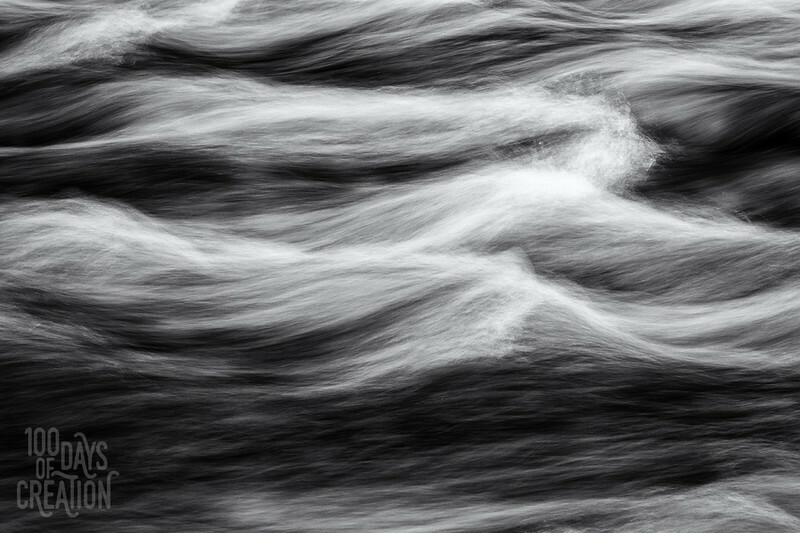 Day 83 - Dazed ~ Multimedia painting, 14"x10"
Day 82 - JustDandy ~ Multimedia macro photograph, 12"x6"
Day 81 - Rush ~ Long exposure motion camera painting, 12"x9"
The rush of the river slowly cuts. 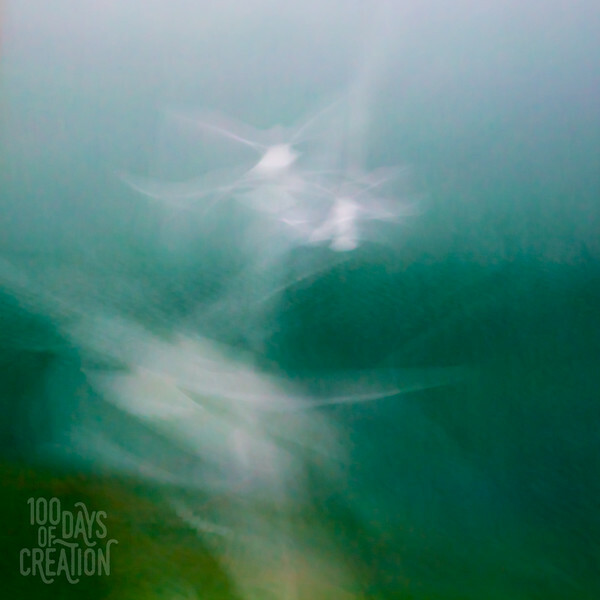 Day 80 - Away ~ Long exposure motion camera painting, 10"x10"
Day 79 - SandSky ~ long exposure in camera light painting, 12"x9"
Day 78 - Speak ~ Multimedia painting, 12"x9"
Multiple digital tools were used to produce this creation. 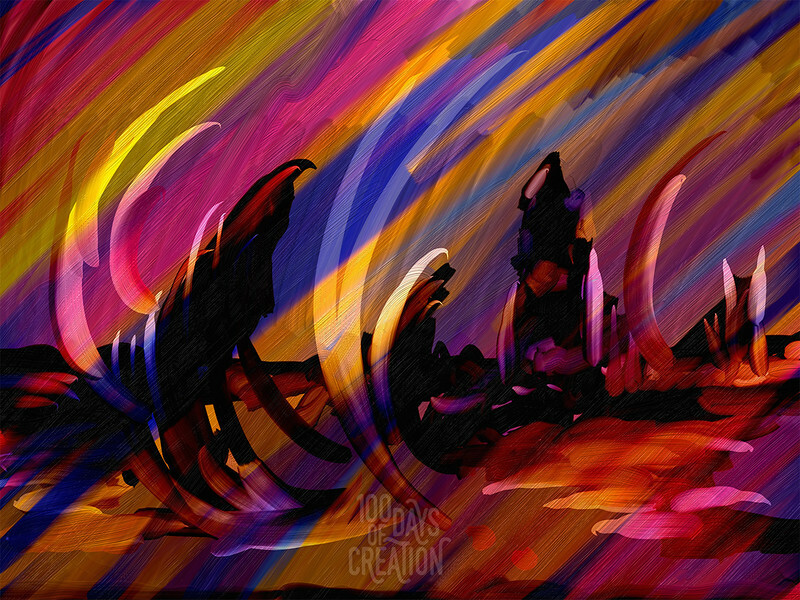 Day 77 - Layered ~ Multimedia painting, 12"x9"
Painted from a digital capture of darkness. 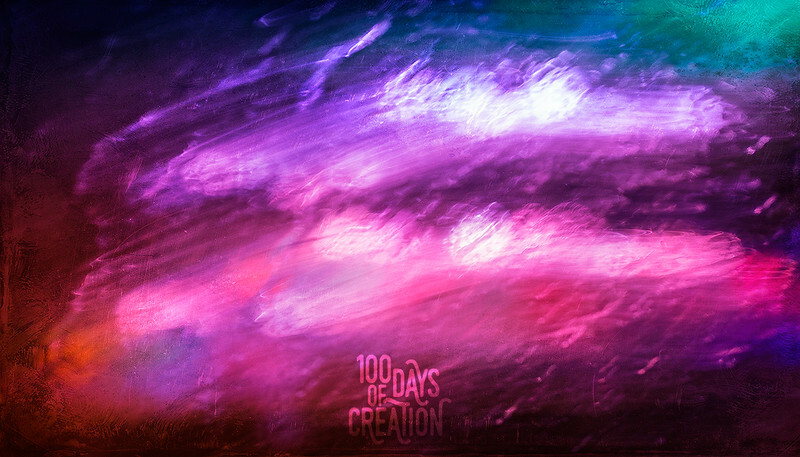 Day 76 - Science ~ Long exposure photograph, 18"x12"
Day 75 - Eternal ~ Multimedia Light painting, 18"x10"
In vehicle light painting with texture overlay. 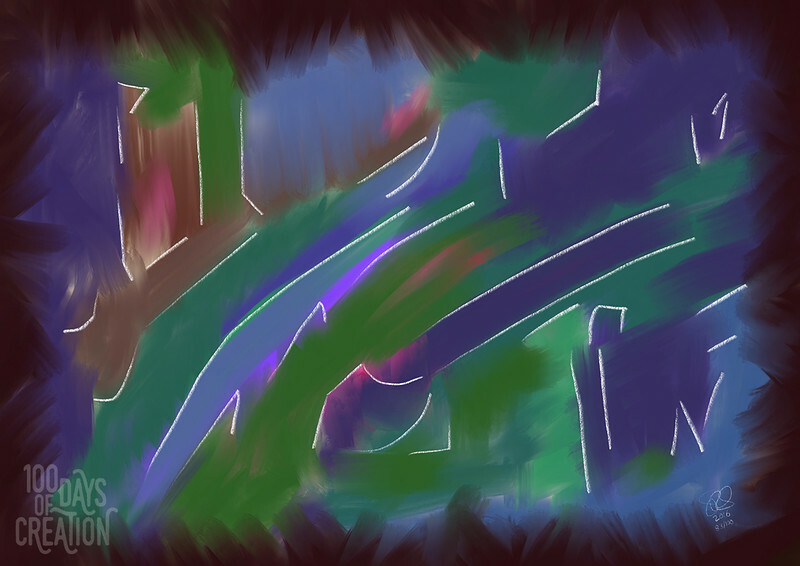 Day 74 - Skylines ~ In camera digital painting, 23"x12"
Vancouver skyline reflected in Coal harbour. 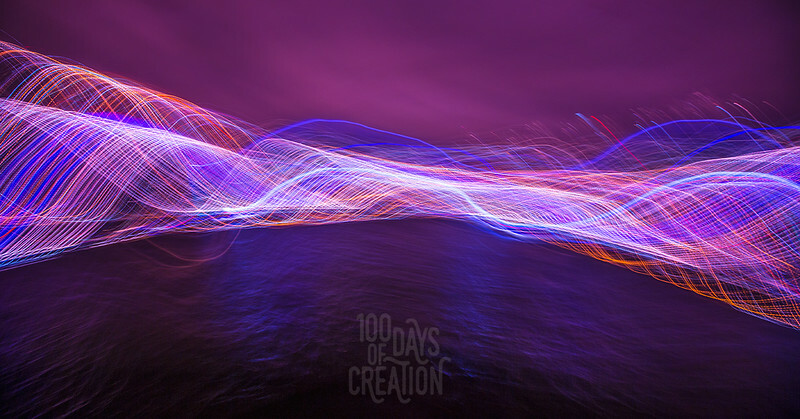 Day 73 - Lion Lights ~ In camera light painting, 18"x12"
The lights of cars and Lions gate bridge. 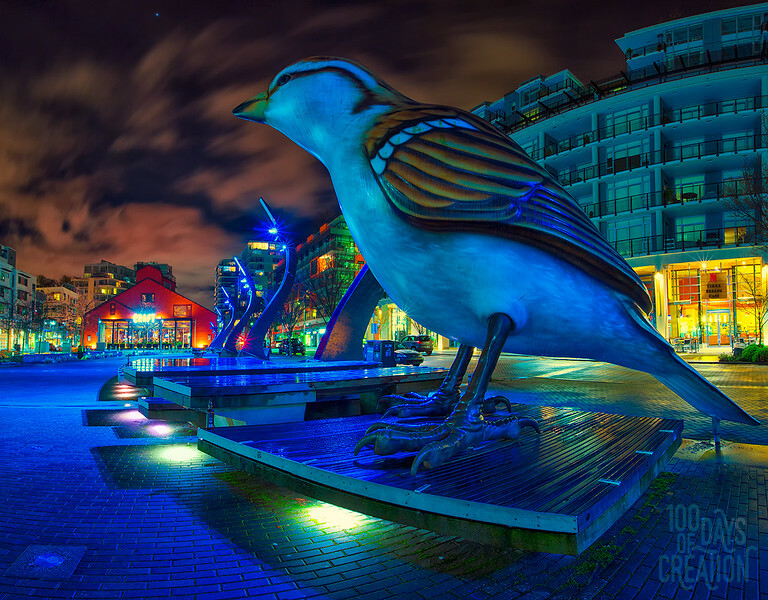 Day 72 - Fountain ~ In camera light painting, 15"x9"
Day 71 - Bird ~ Panorama photo, 15"x12"
5 image vertical panorama of one of the birds at False Creek Vancouver. 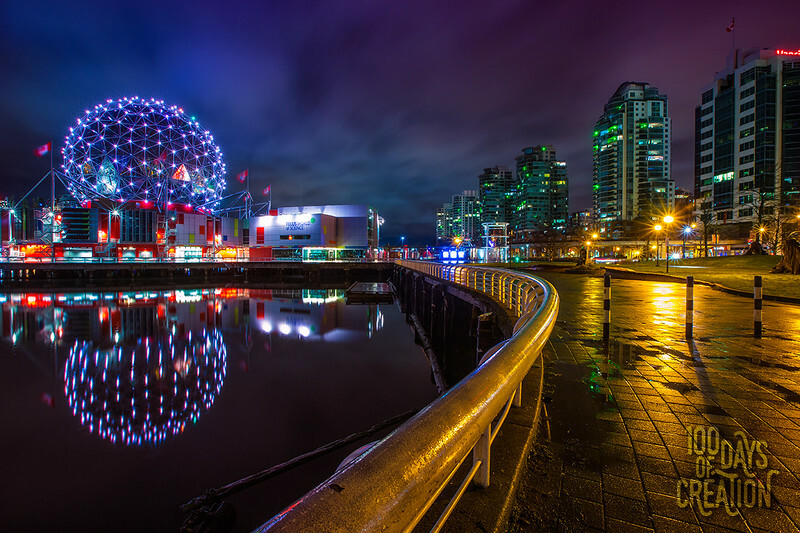 Day 70 - Bridge ~ Panorama photograph, 44"x15"
19 vertical images of the Burrard Street bridge from Granville Island. 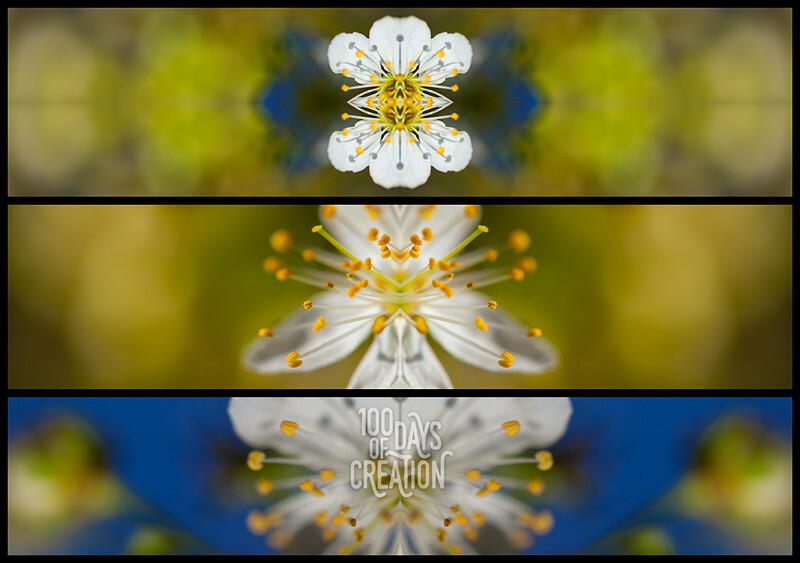 Day 69 - Triplum ~ Photographic mirrored triptych, 22"x16"
Plum tree flowers in macro mirrored form. 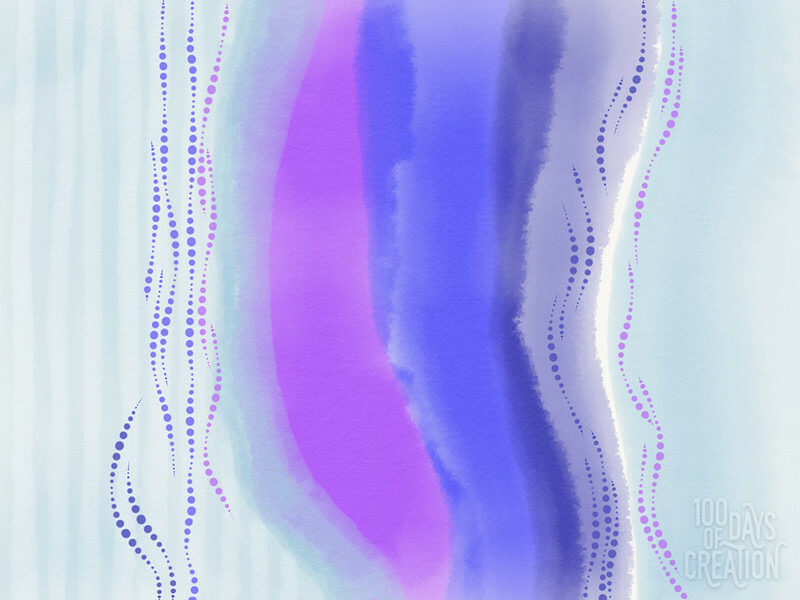 Day 68 - Scars ~ Digital painting, 12"x9"
A juxtaposition of colour and texture. 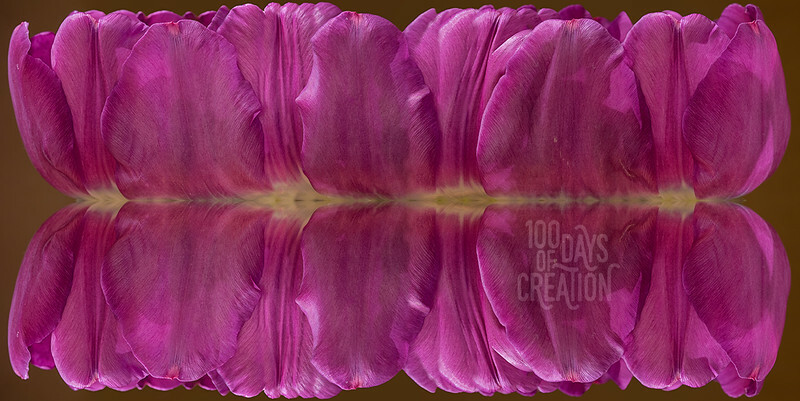 Day 67 - Tuliporama ~ Reverse panorama, mirrored photograph, 32"x16"
An experiment in 360 degree object photography. 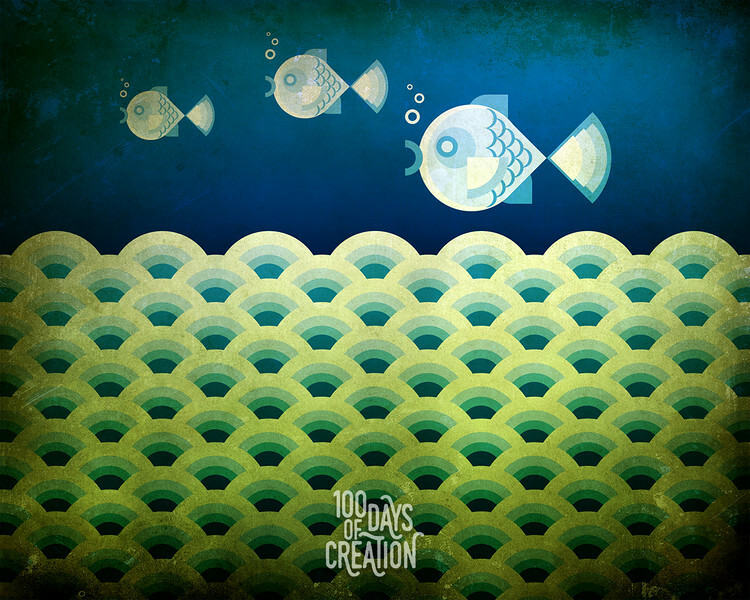 Day 66- Three Fish ~ Digital comp, 6" x 4.8"
Experimentation with simple graphic shapes. 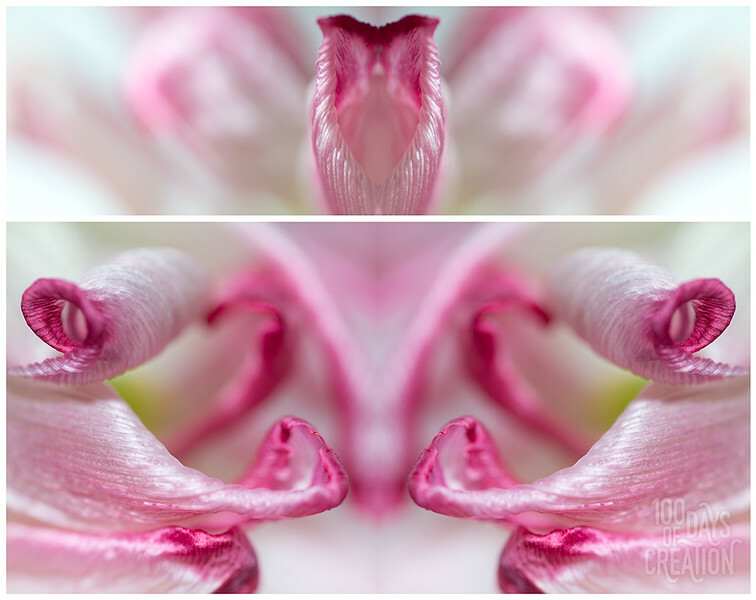 Day 65 - Tuliptych ~ Macro mirror diptych photograph, 30"x24"
More tulips, as they are on the last few days before the petals start falling off. 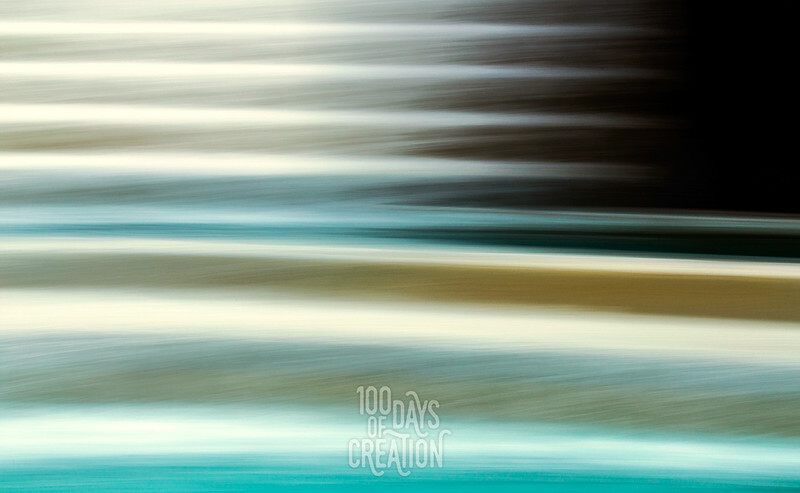 Day 64 - Whale ~ Multimedia painting, 12"x9"
Day 63 - Merge ~ Macro photograph series E, 12"x8"
Everyday objects in extreme close up. 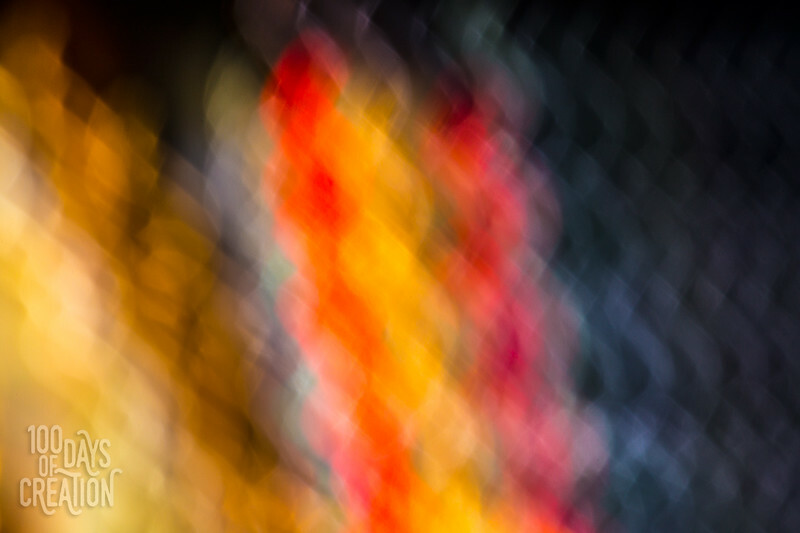 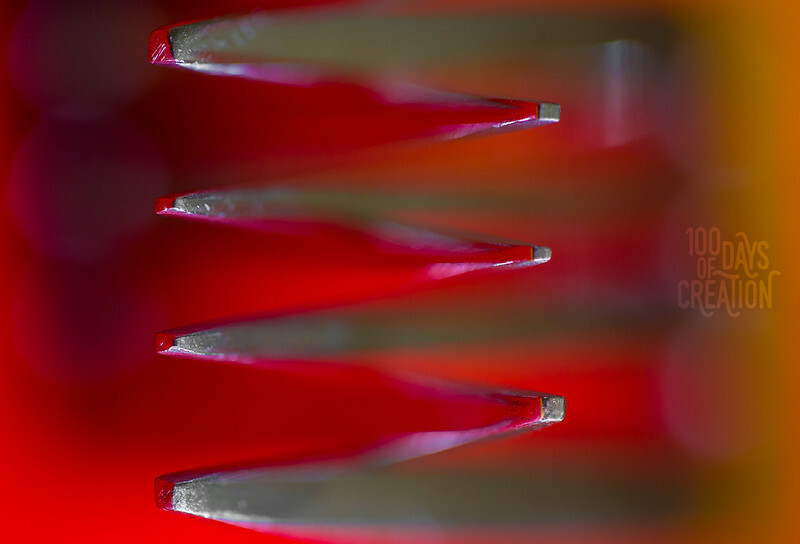 Day 62 - Delicate ~ Macro photograph series D, 21.5"x9"
If you can't guess this one I will be amazed. 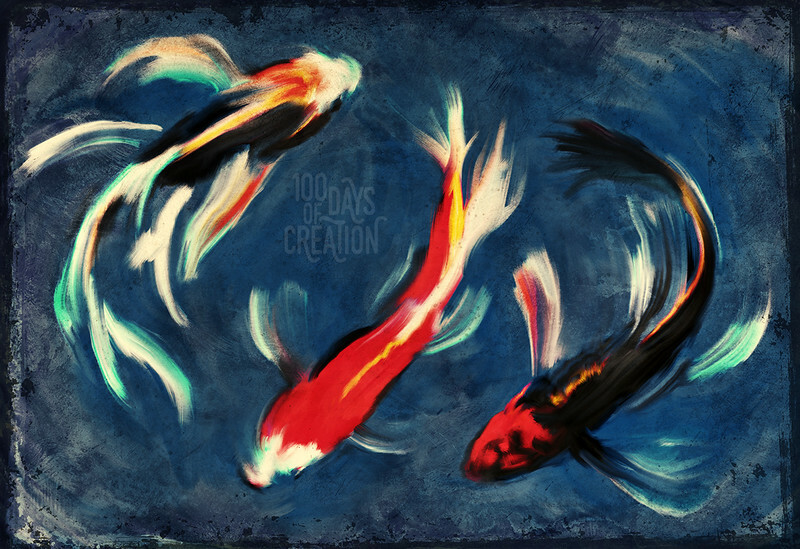 Day 61 - Roar ~ Digital painting, 12"x9"
Day 59 - River ~ Multimedia painting, 12"x9"
Day 58 - Pod ~ Multimedia painting, 12"x9"
RickRarrr, swimming before the half hour is up. 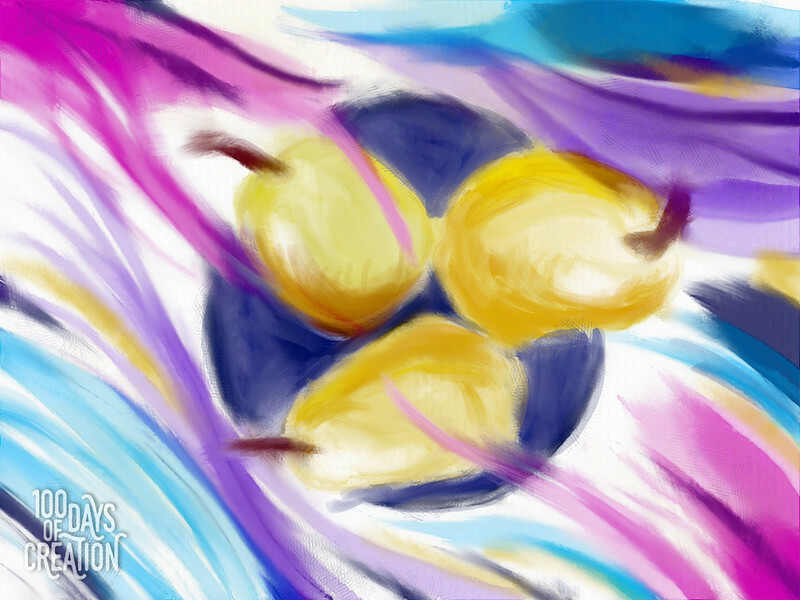 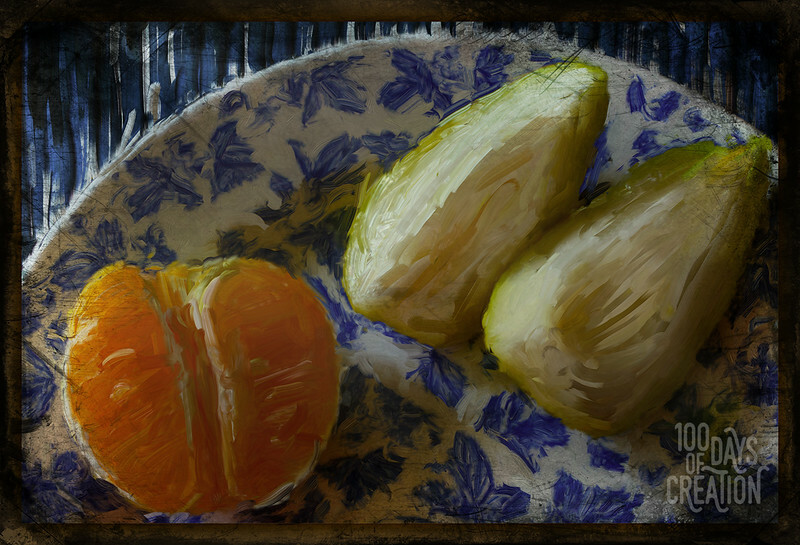 Day 56 - Water Pears ~ Digital painting, 12"x9"
More of an experiment with new tools than a serious painting. 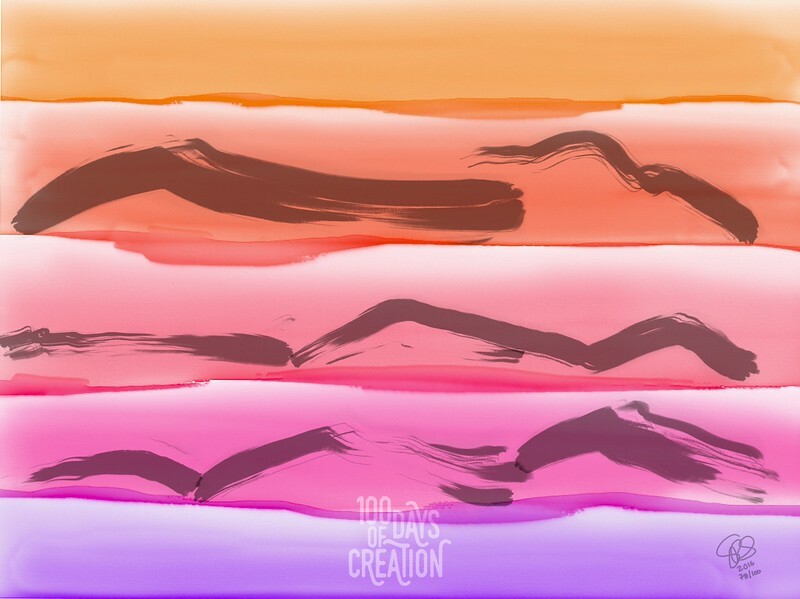 GlobBob, searching for the answers to life and a snack. 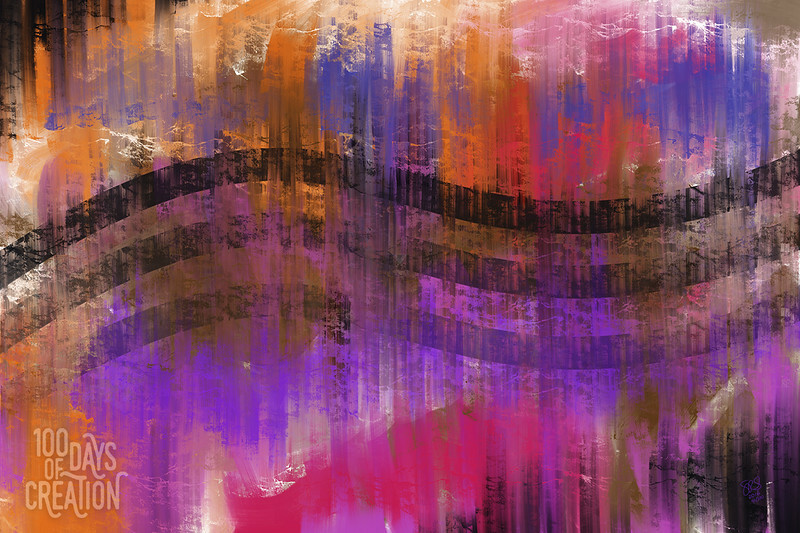 Obviously a shape theme going on here. 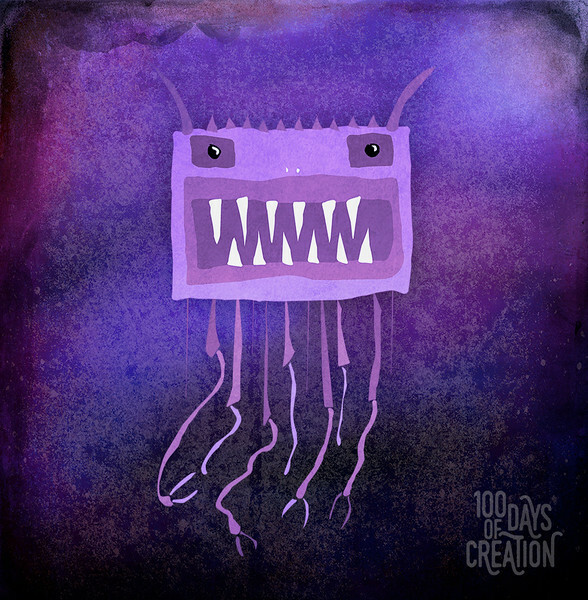 A different take on my monster series.